Brussels, in my opinion, has a cosmopolitan flair that its small size doesn't really warrant: it has world-class chocolate makers, French cuisine, a typically Dutch old town, capital-city institutions like a parliament, palaces and embassies, the European Union quarter, the NATO headquarters, sprawling parks, gigantic monuments and -- of course -- Europe's most beautiful square - Grand Place. I first started discovering this fascinating place 30 years ago, when I began a 12-year stint of working there off-and-on. I've spent hundreds of evenings running through every corner of the city. 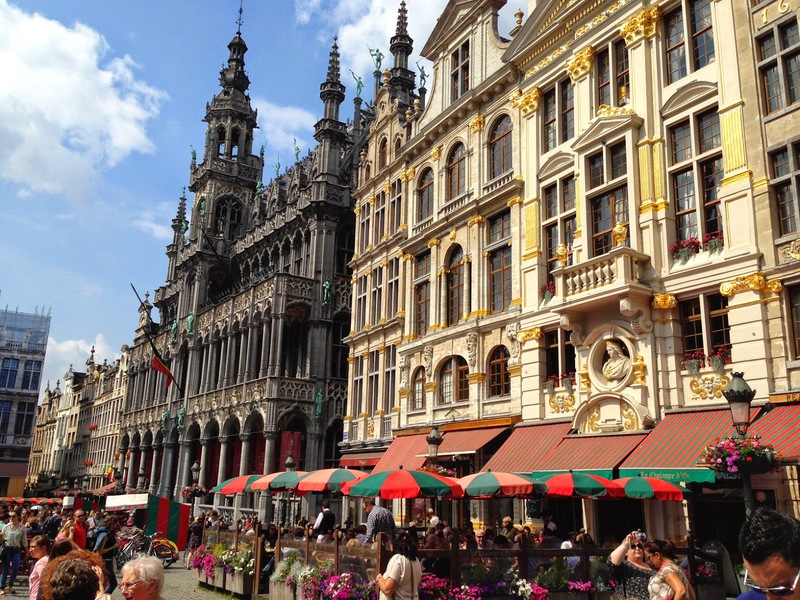 And on lots of those runs I crossed through the old-town, taking-in Grand Place and the nearby ancient lanes full of restaurants and chocolate shops, which gave every run a special highlight. 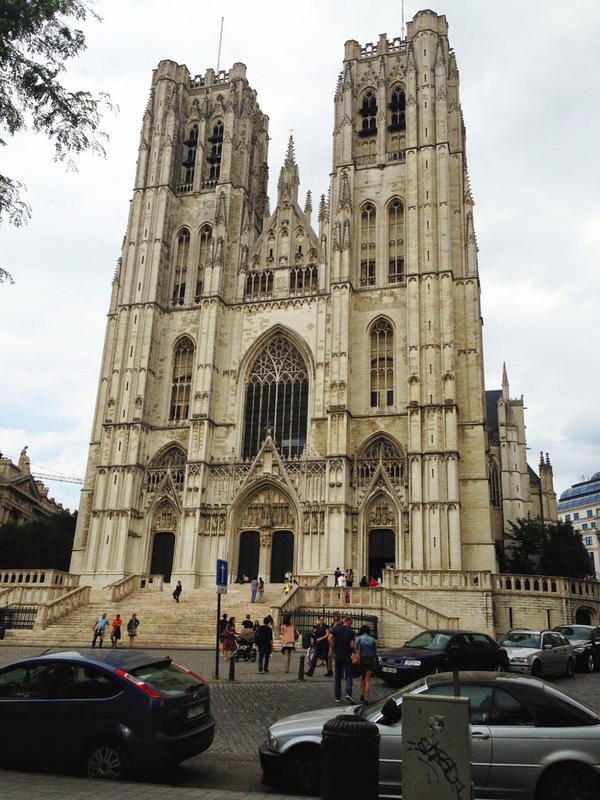 Here's a little route through the heart of Brussels that goes by a lot of the most scenic spots in the old town: Parliament, Brussels Park, the royal palace, Grand Place, the Manneken Pis statue, the restaurant streets, the cathedral and back to the park again. 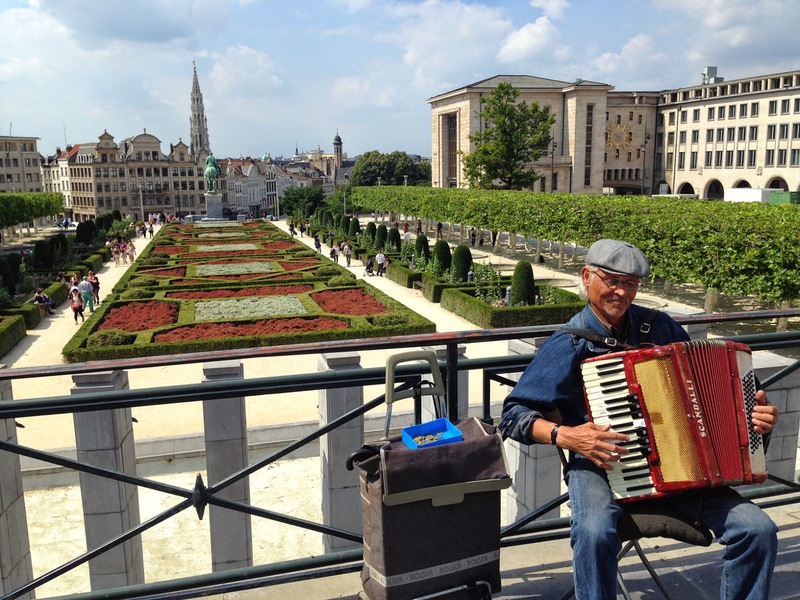 We'll start the run on the east edge of the old town, up the hill at Brussels Park, right in front of the parliament building. This neighborhood, the Koudenberg, used to be the castle area, defending the main old-town area down the hill towards the northwest. 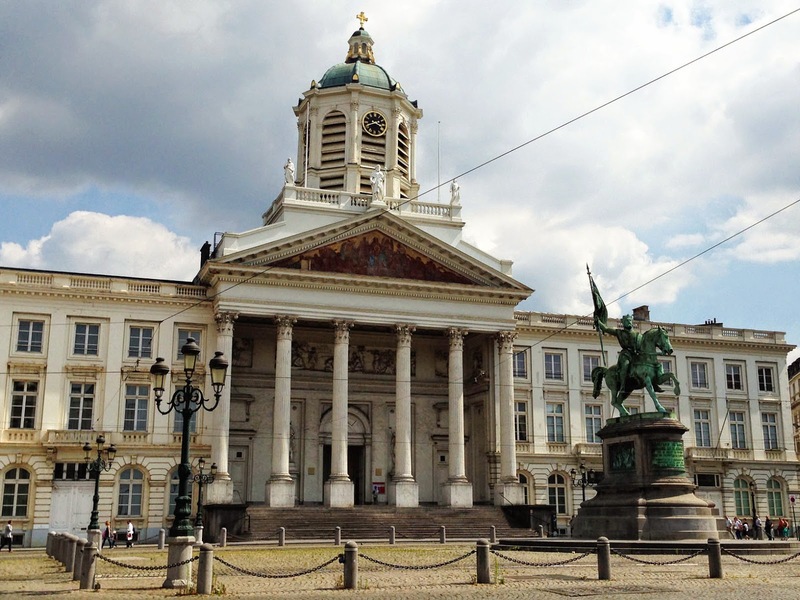 The old castle burned down, and now the newer royal palace occupies the spot, although the Belgian royal family lives at Laeken, outside town. So let's go to the Rue de la Loi, to the front door of the unassuming Palace of the Nation (parliament). The building looks like it might just hold the state archives or maybe the transport ministry, but this is the Belgian parliament. Turn your back to the front entrance of the parliament, and face into the north entrance of Brussels Park across the street. 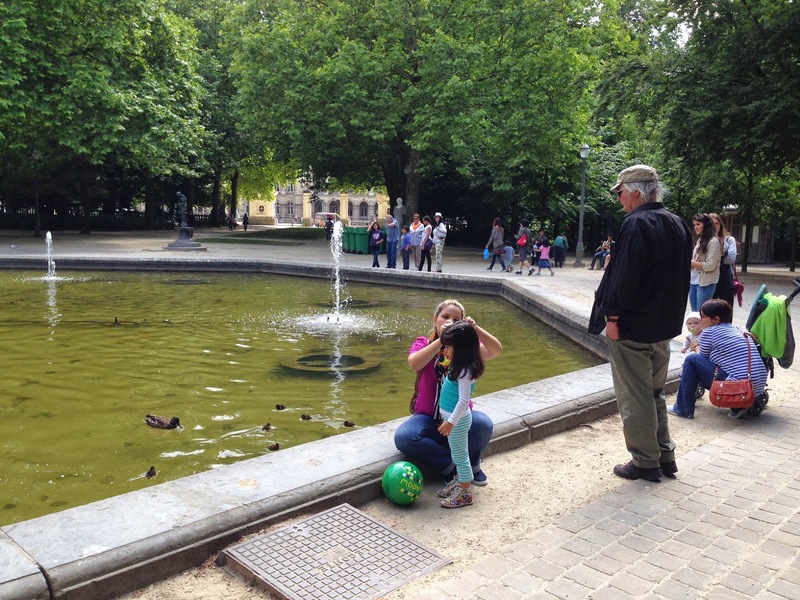 This small rectangle of green-space is one of those pleasant little European parks that includes about everything a proper park needs: fountains, statues, a playground, a café, a bandstand, even a theater. Run straight south through the park, going around the two fountains along the way. At the south end of the park, you'll come out facing the royal palace. This gigantic building is only used for functions: nobody lives there. Turn right and run past the front of the palace until you come to the first real cross-street, Rue Royale. Turn left on Rue Royale and take just a few strides into the next square, Place Royale, with the statue of the knight Godfrey on his horse. 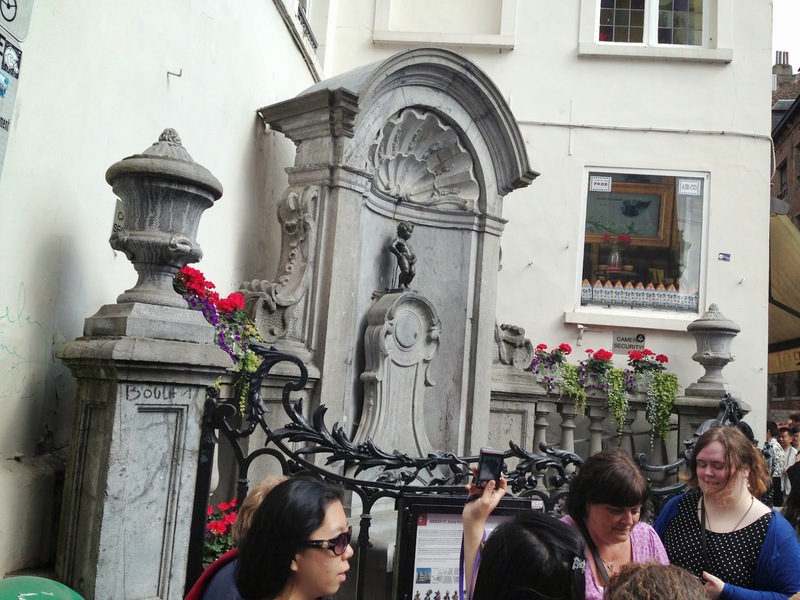 Turn right at the statue to head downhill into the old-town, along Coudenberg. 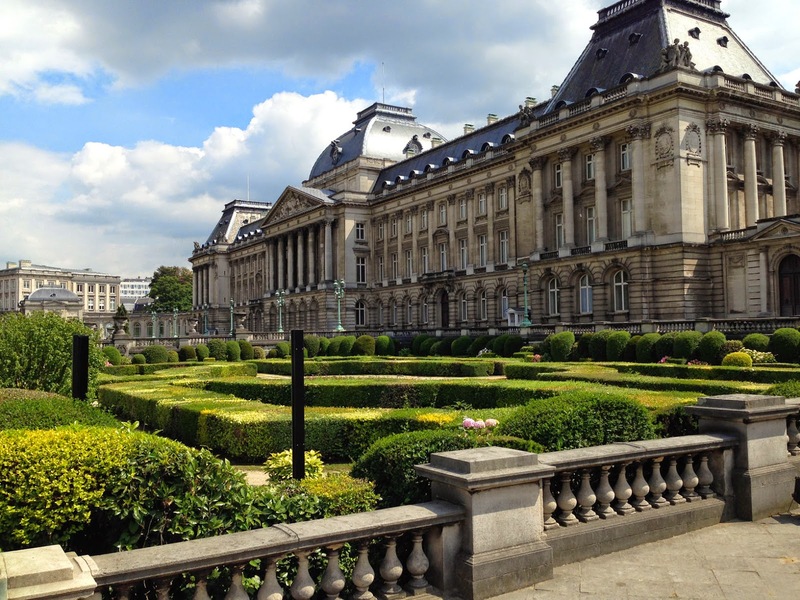 But where the street curves to the right, continue straight into the big formal garden of the Jardin du Mont des Arts. You'll see the skyline of the old-town beyond the hedges and roses of the garden. When you exit the gardens, keep running straight north through the next square, with the statues of the mounted soldiers, and on into the Rue de la Madeleine. You're now running past the old Dutch-style houses of the real old-town. 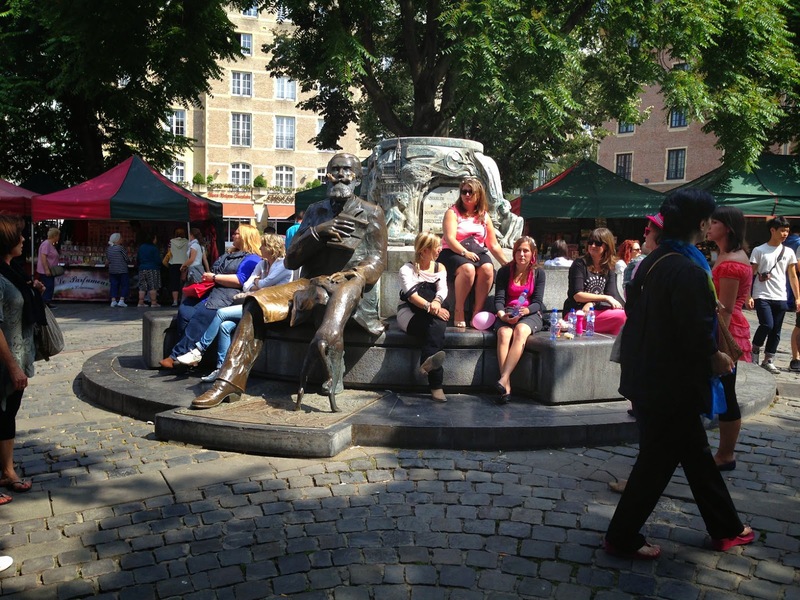 You'll run past a little red-brick church and then come to another little square, the Marché aux Herbes. Keep the square to your right side and you'll come to the south entrance of the Galeries Royales St. Hubert, the world's first modern shopping mall, built in 1846. Now, turn left into the little side street, Rue de la Colline, and you'll see Grand Place opening up at the end of the street. You'll run past some of the first chocolate shops, and they're pretty inviting: Belgian chocolate is among the best in the world. You can run through some streets in the west end of the old-town and the whole street will smell like cocoa. Circle past the guild-houses on the north side of the square, then southwards past the Gothic, 600-year-old town hall and its huge tower. Now turn right onto Rue des Grands Carmes, where you just run a block before turning right to head northeast along Rue du Midi. 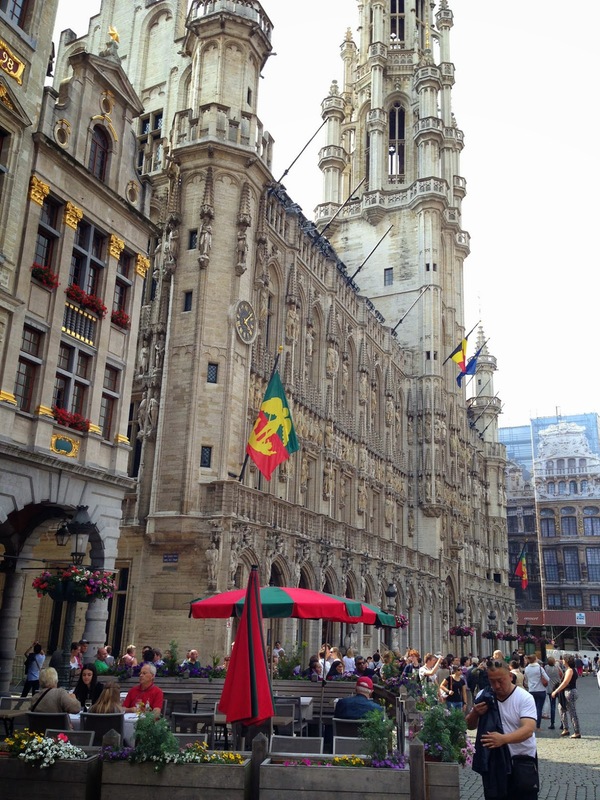 Run just two blocks, where you turn diagonally to your right onto Rue du Marché au Charbon, where you head straight back into Grand Place again, this time on the other side of the town hall. Now just cross the square to the left corner of the gothic city museum and exit Grand Place by running into narrow Rue Chair et Pain (Meat and Bread Street). 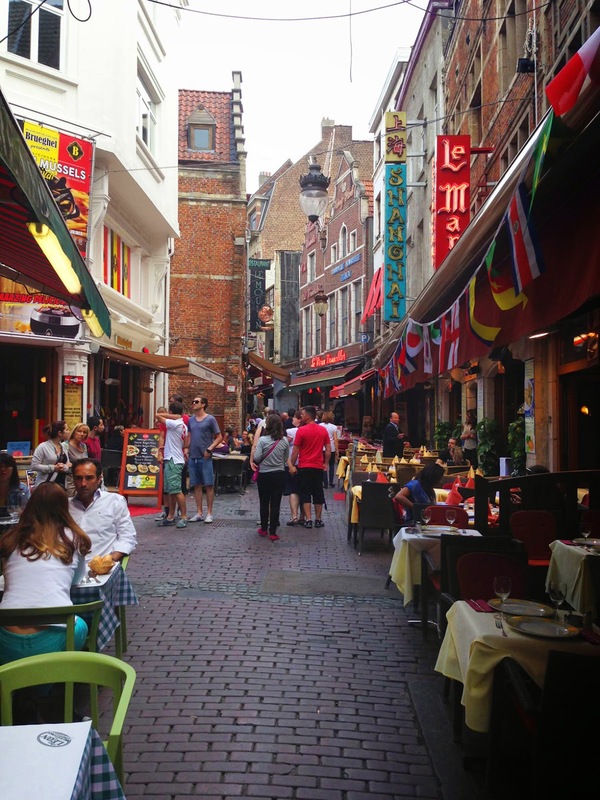 In a block, the street turns into the Petite rue des Bouchers (Little Butcher Street), where a long row of restaurants with outside seating begins. If you're here in the evenings, it's hard to get through the crowds that wander around. Just enjoy the chance to slow down and view the stands full of fresh seafood on ice, and the fireplaces glowing in almost every restaurant. At the end of the street, turn right onto Rue des Bouchers (more restaurants). You'll pass the Galeries St. Hubert again (this street bisects the gallery into two halves), and then run into Rue de la Montagne. Turn left here and now run uphill for the next blocks. You'll see the Gothic-style cathedral coming into view ahead, with its twin towers. Run through the green square out front of the cathedral, towards its front doors, then run past it around the right side. Now just follow Treurenberg up to the top of the hill, where you will come out to Rue Royale again, with its tram tracks. Turn right and run the one block back to Brussels Park.